IOWA CITY, Iowa—ACT announced today that it has agreed to acquire the automated item generation (AIG) technology of MGHL Consulting Ltd., a leader in AIG. Terms of the deal have not been disclosed. AIG is a technology that uses human-created item models to generate test questions with a series of computer programs. It is a proven operational technique that has been thoroughly assessed and verified through rigorous research by ACT and others. A year ago, ACT joined forces with MGHL Consulting to use AIG to accelerate its test development process. Now it will acquire the company’s AIG technology. MGHL is headed by Drs. Mark J. Gierl and Hollis Lai, professors in Edmonton, Canada, who have spent more than 10 years developing and implementing the AIG process. Both will continue to work with ACT as consultants. In addition to using this technology to improve its own processes, ACT will offer it to other testing organizations and associations to help them develop their assessments much more efficiently. Over the past few years, ACT has acquired The National Research Center for College and University Admissions™ (NRCCUA®), OpenEd and ProExam and made strategic investments in Smart Sparrow, Open Assessment Technologies, S.A. and New Markets Venture Partners, a pioneering education-focused fund. 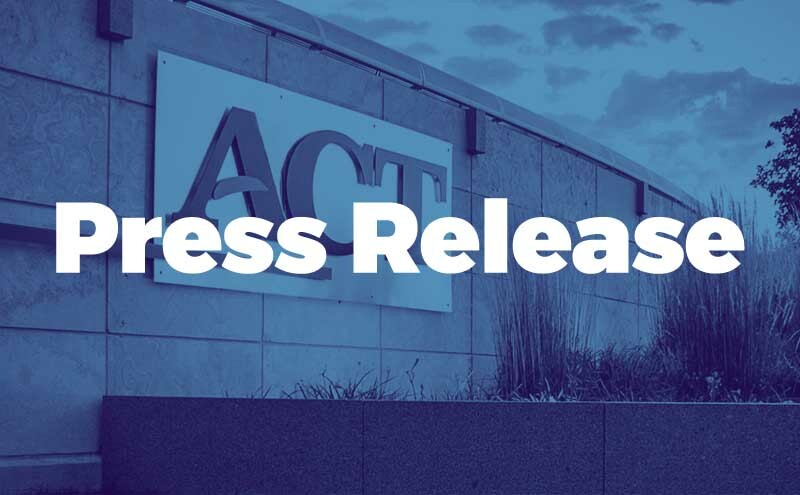 ACT has also partnered with nonprofit The NROC Project to create ACT CollegeReady and with Arizona State University to identify dozens of advanced research and product development initiatives to enhance the future of learning.